There is completely no information about this lens. It has no name or data on its body, and I could not check the edge of each glass because they are fixed with surrounding rings firmly. 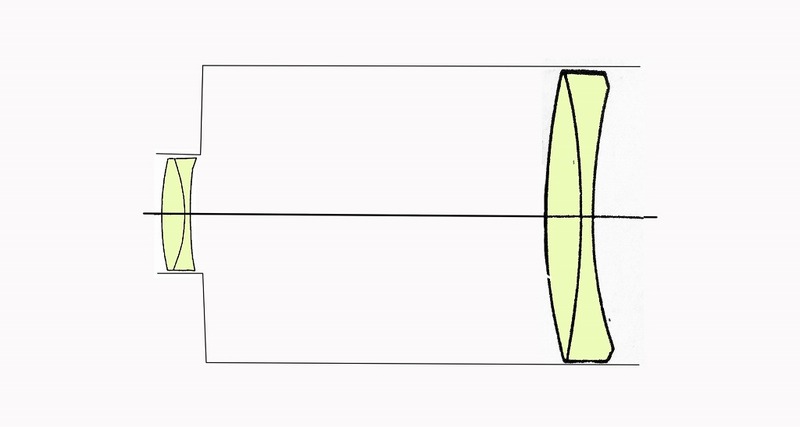 its lens composition as doublet which can be judged from the number of reflections of the lens. 2/it has a small doublet lens on the front group. 3/the focal length is very short to fit Leica S2 smoothly. estimate it should be intentional to appeal the soft effect on B/W photos at that age. It showed imaged effect on photos taken in studio with B/W ( refer examples below).. It is the very first time to take photo of models in studio. As I prefer taking photos of casual people living, I did not dare to step in this area. I do not accostomed to such situation yte, I enjoyed the precious opportunity. Stron achromatic aberration can be obserbed at the edge of haris and others. On the other hand, it makes the figure of models rather soft and confortable. I understood the intention of lens designer. You can confirm all aberrations in photos of last parts. As if I see the line-dance of all kinds of aberration.